Our event was attended by the Richmond City Manager, Bill Lindsay, City Council Member Ben Choi. Envision CEO Desmond Wheatley attended the event and shared the benefits of solar charging with attendees. John Hall, CV/AV Program Manager from the Contra Costa Transportation Authority brought the easymileEZ10 autonomous electric shuttle (currently being piloted at Bishop Ranch). 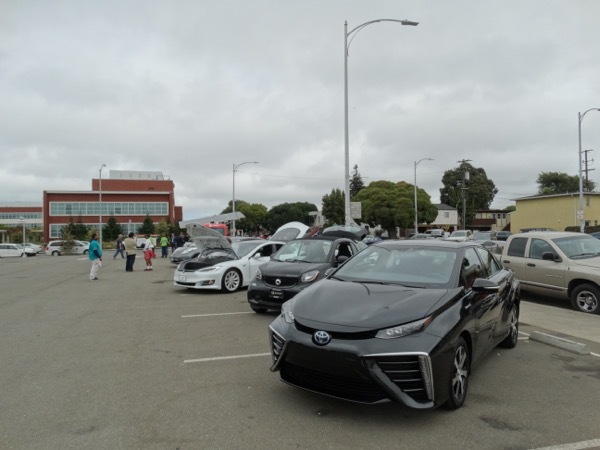 Several local partners the (The Clean Air Rebate Project, Sierra Club, 511 Contra Costa , California Public Utilities Commission, Community Housing Development Corporation were present to assist attendees with financing and rebate resources to purchase new or used electric vehicles. Wednesday, September 13, 2017, 2p.m. 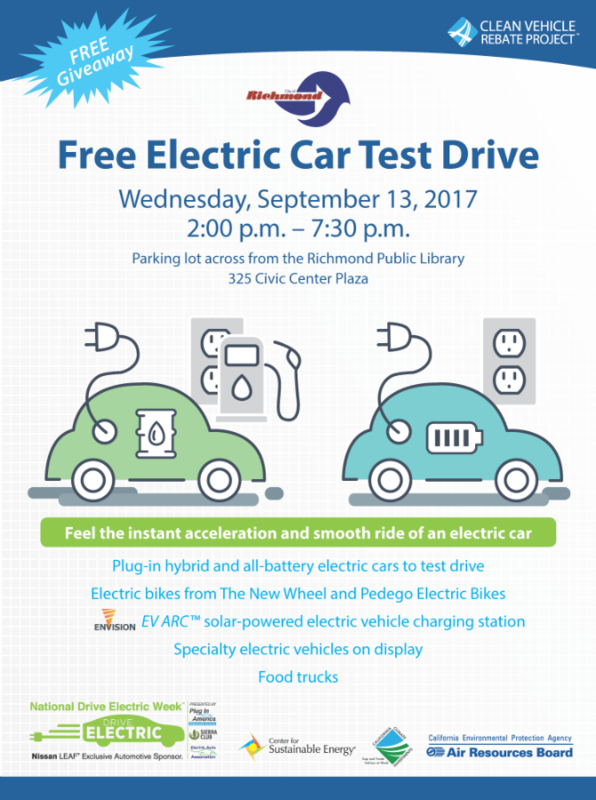 to 7:30 p.m.
Free and open to the public to learn more about electric vehicles, electric bikes, EV chargers, ownership, and financing. Registered attendees report 83,940 electric miles driven.